Duty free and travel retail analyst Counter Intelligence Retail’s latest category research indicates that more than half of shoppers in the Watches & Jewelry category are purchasing more expensive items than at home, and that gifting is a key driver, but under-exploited by retailers. The study – The Watches & Jewelry Shopper Review 2018 –surveyed the buying habits of 4,800 traveling shoppers visiting the Watches & Jewelry area. Among the top-line conclusions of the study, 59% of shoppers are choosing to buy more expensive items from duty free, which is +12% ahead of the global benchmark. “This opens up a clear opportunity to drive engagement and incremental purchasing by delivering a value-added experience,” comments Garry Stasiulevicuis, Founder and President of CiR. Some 62% are also purchasing a non-regular brand (+15% versus the global benchmark) which suggests that shoppers are open to experimentation in this category. Females (at 59%) are more likely to purchase watches on impulse than males (55%) but some sub-categories are more pre-planned such as necklaces (60%) and rings (54%). “Gifting is an under-utilized aspect of the Watches & Jewelry experience, despite it being a driver of shopper visits,” notes Stasiulevicuis. CiR says that 26% of visitors head to the Watches & Jewelry section for gift inspiration – and that this is +9% over-indexed versus the global average. Yet, 65% of purchasing is still driven by self-consumption, suggesting that retailers are missing out on converting potential gift buyers. The category can do more about this, says Stasiulevicuis, such as using more attractive displays and knowledgeable staff to increase conversion rates, he adds. Eye-catching front-of-store fixtures are of paramount importance in gaining the attention of these shoppers. According to the report, brands that have greater resonance with shoppers across the sub-categories include Calvin Klein, Cartier, Bvlgari, Chanel, and Fossil. TMI will be running a full section on watches and jewelry in our 2018 TFWA Cannes magazine issue, with trend reports from the recent JCK Show and much more. 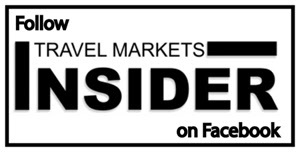 Please contact Lois Pasternak ateditor@travelmarketsinsider.net for information about how to be part of this coverage.